Enterprise Pediatric Clinic opened on September 17, 2012 as a satellite office of Dothan Pediatric Healthcare Network. Other offices include Dothan Pediatric Clinic (1953), Eufaula Pediatric Clinic (2008), Dothan Pediatric Subspecialty Clinic (2010), and Ozark Pediatric Clinic (2016). Located at 526 Boll Weevil Circle, Enterprise Pediatric Clinic offers state-of-the-art pediatric healthcare services for children in Enterprise, Coffee County and surrounding towns. 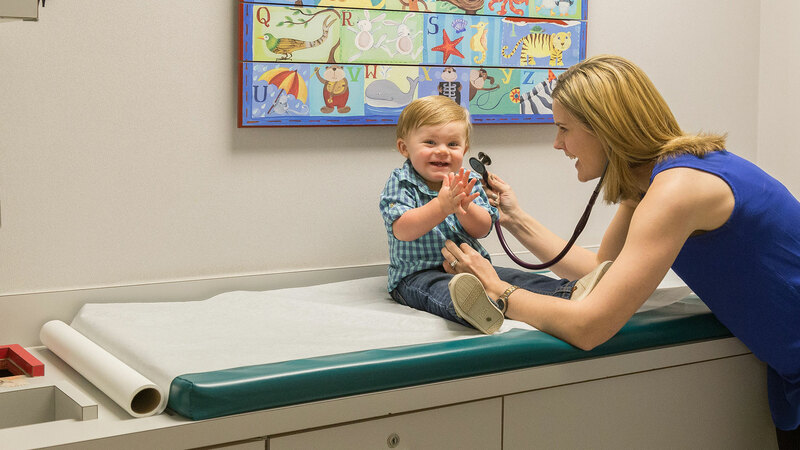 The clinic employs pediatricians and certified registered nurse practitioners who provide a full-range of medical care for infants, children and adolescents. The clinic also provides a full-service laboratory which is certified by CLIA (Clinical Laboratory Improvement Amendments) and COLA (Commission on Office Laboratory Accreditation). Clinic hours are Monday through Friday from 8 AM until 5 PM. Appointments can be made by calling 334.308.1166. On the weekend, sick patients can be seen on a walk-in basis at Dothan Pediatric Clinic in Dothan, Alabama. With an ever growing staff of pediatricians, pediatric subspecialists, nurse practitioners and support staff, the future of Dothan Pediatric Healthcare Network is growing brighter each day.